We are pleased to announce PMG artist JESSICA AUER will appear in LES RENCONTRES INTERNATIONALES DE LA PHOTOGRAPHIE DE LA GASPÉSIE. Her serie SAGA LANDS will be presented in the Forillon National Park. LES RENCONTRES INTERNATIONALES DE LA PHOTOGRAPHIE EN GASPÉSIE present SAGA LANDS. 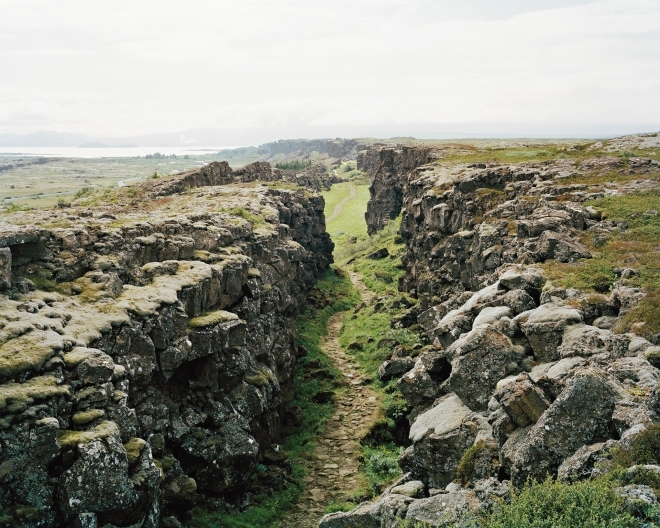 Jessica Auer's work is broadly concerned with the study of cultural sites, focusing on themes that connect place, journey and cultural experience. She received her MFA in Studio Arts from Concordia University in Montreal in 2007 and has since exhibited in galleries and museums in Canada and abroad including, the Gotland Museum of Art (Visby, Sweden, 2015), VU Photo (Quebec City, 2014), the Canadian Centre for Architecture (Montreal, 2013), Patrick Mikhail Gallery (Ottawa, 2012) and Newspace Centre for Photography (Portland, Oregon, 2011). Her work is held in various collections, including the Musée des Beaux Arts du Québec and the Canada Council Art Bank. Her first book, Unmarked Sites, was noted by Photo-Eye and the Indie Photobook Library as one of the top ten photography books published in 2011. She currently teaches photography at Concordia University.